LIFE IS BETTER WITH BACON! Yes, God created an amazing animal when he created hogs. 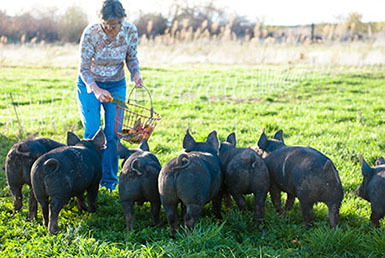 Keith Book and Jon Meyer recently partnered to bring pastured-raised pork to the north state. Unfortunately, most commercial hogs raised in America never touch dirt or grass; they are confined on concrete or expanded metal. 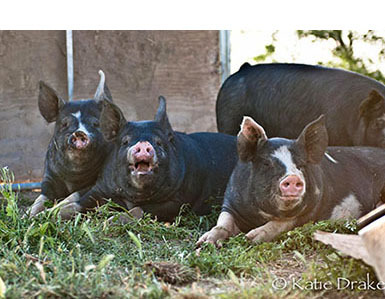 On the Book Family Farm, pigs live the way pigs were designed to live. Baby pigs are born in farrowing (birthing) rooms. The mothers are free to get up and go outside in the mud and sunshine. The piglets have plenty of fresh straw to sleep and play in. Once the piglets are weaned, they live in a pasture with many different kinds of grasses. They also receive an organic feed. According to the best available records, the first Berkshires were brought to the United States from England in 1823. One Legend says that Berkshire hogs were discovered by Oliver Cromwell's army 300 years ago, while in winter quarters at Reading, the county seat of the shire of Berks in England. After the war, these veterans carried the news of the wonderful hogs of Berks to the outside world. Berks were larger than any other swine of that time and producing hams and bacon of rare quality and flavor. The superior quality of Berkshire Pork is well documented. In a summary of tests conducted over a 10-year span at the National Barrow Show in Austin, Minnesota, Berkshire pigs scored highest of all major American pure breeds in sensory quality. 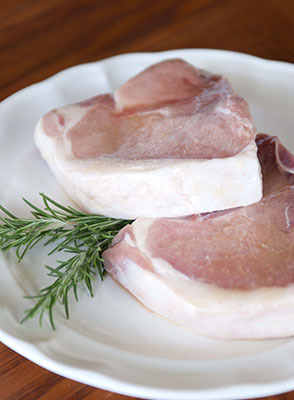 From various studies, including one published in the Journal of Animal Science, Berkshire Pork was ranked first in 19 of 22 quality measures in four important categories. Berks have a great personality, are easy going, and able to grow well outside of confinement, living in the field. Since the Book Family Farm is so committed to teaching, there are always lots of kids around. The Berks are perfect for this. As a restaurateur, flavor is the most important quality for Jon. For Keith and Joy, health benefits are most important. 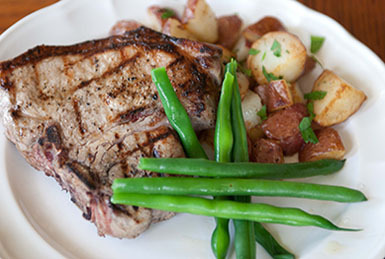 With their pasture-raised Berkshire Pork, they have the best of both worlds.